and Luna Llama for the trendy toddler. 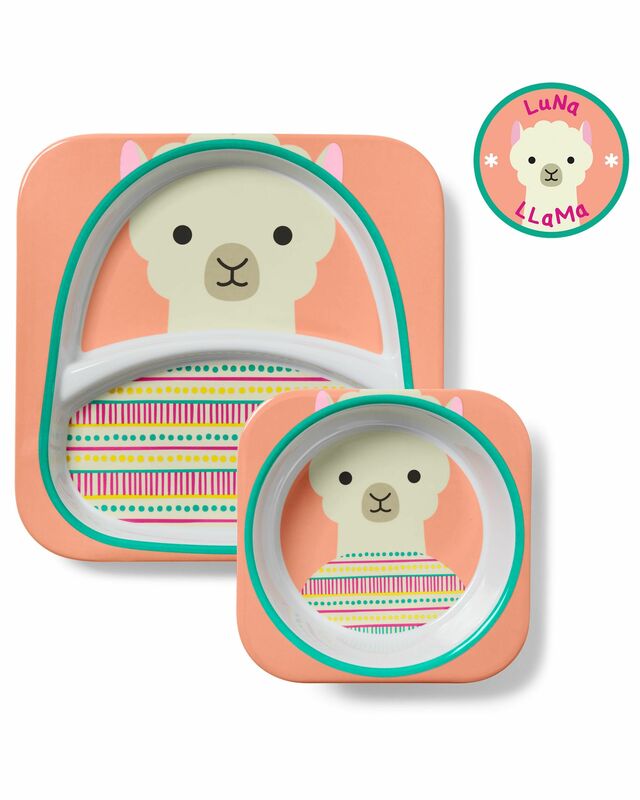 Llama and Bat pieces include Backpacks, Lunchies, Fork & Spoon Sets as well as Melamine Plate and Bowl Sets. ZoLi’s PIP & DINE Tokidoki Editions! 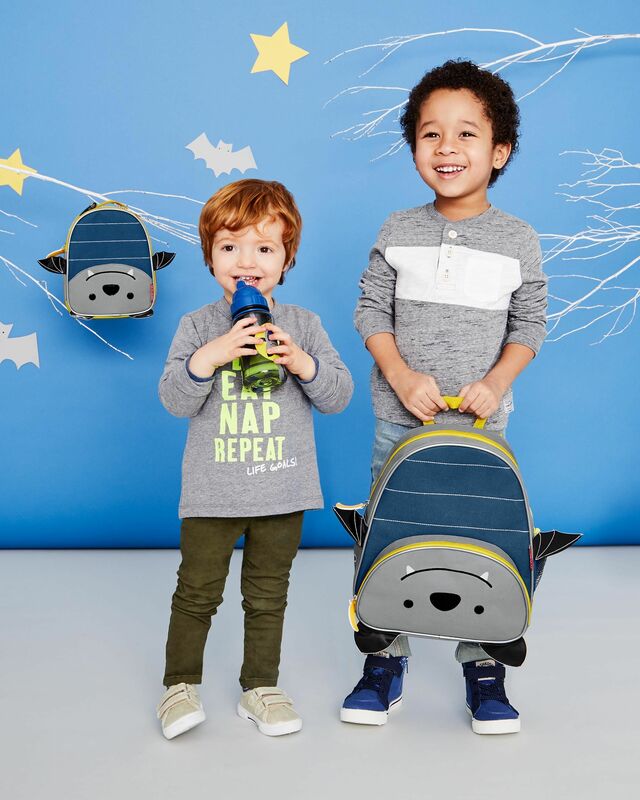 Zoli has just announced a super fun collaboration with tokidoki. 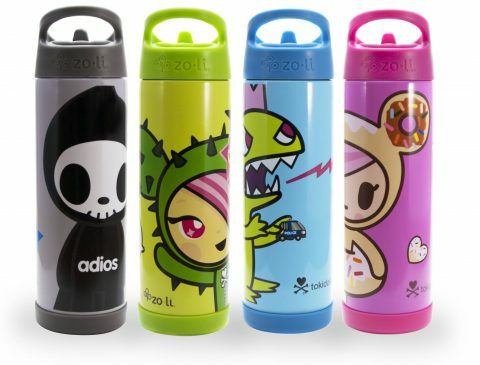 The iconic tokidoki characters are featured on the insulated, double-walled stainless steel food containers. I love these for parent tokidoki fans (of which there are many!) 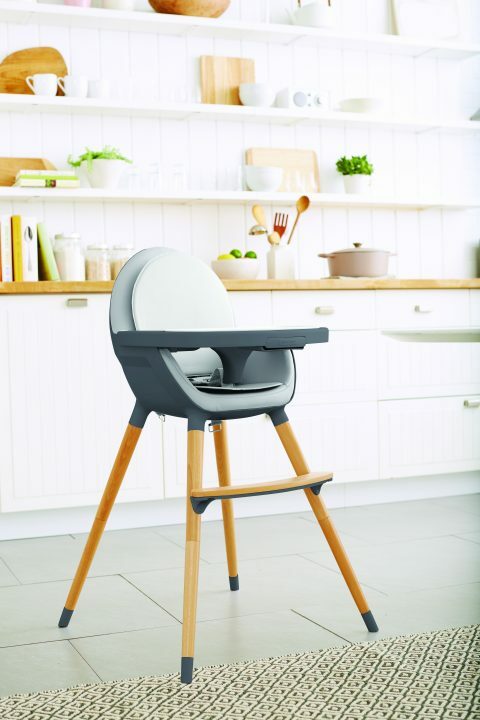 as well as older children and even teens, for whom the ordinary zoli designs might seem too babyish. 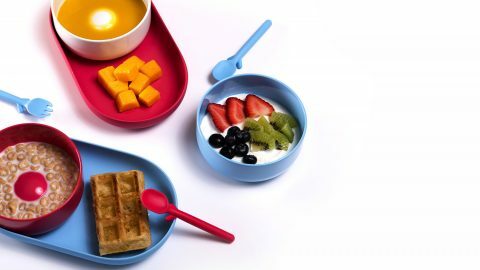 Coming in January from Nenu, the Bowl + Plate are the sleekest new modern kids dining set of the last couple years. 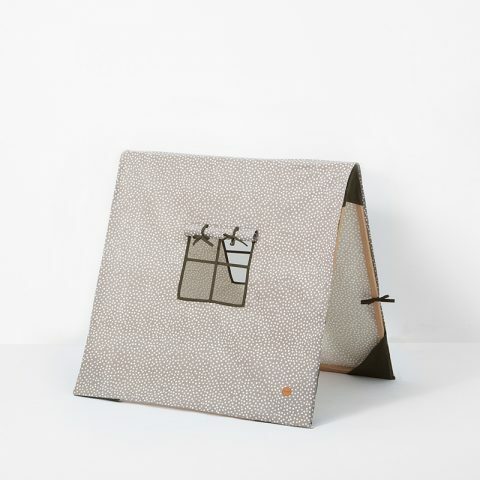 Made of a medical grade material, the plates are free of Phthalates, Latex, Vinyl, and BPA. 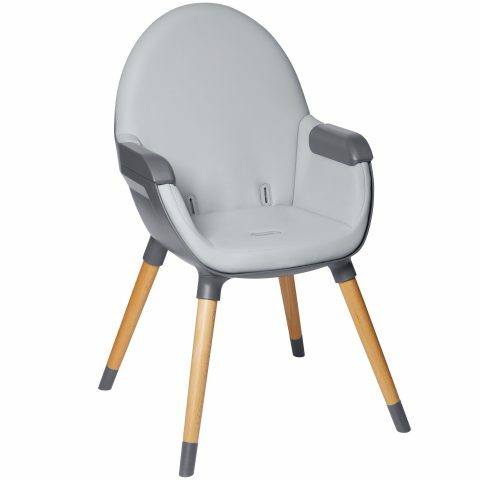 I also like that they are made in the USA. 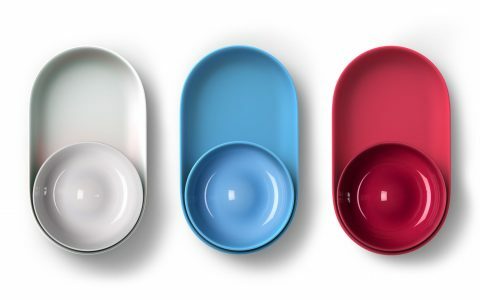 The design of the bowl makes food collect around the edges so it’s easier for little ones to scoop, and the concave surface on the bottom makes it easier to hold when you use it for feeding. The sets will come in red, white and blue and retail for $17. 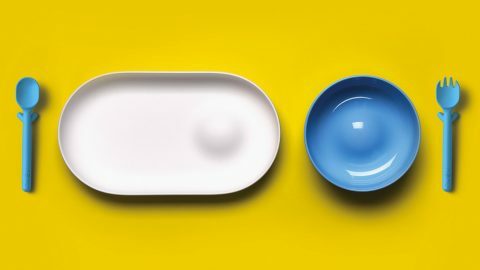 Pair the set with Nenu’s spoon + fork for the perfect modern table setting. 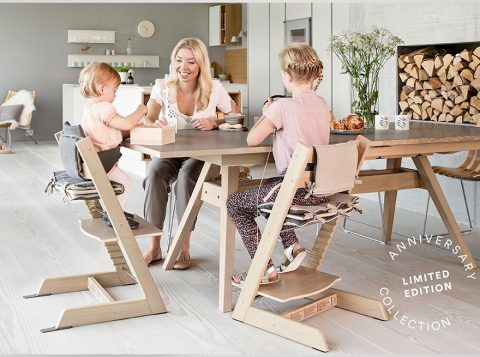 For their Kids Autumn/Winter 2016 Collection, Ferm Living has a some great new items to take note of. 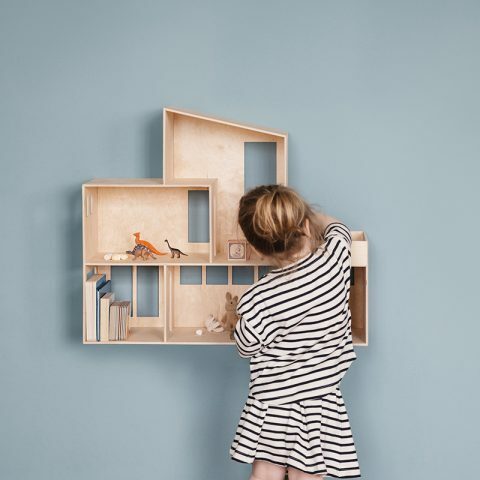 My favorite is this Funkis Doll House. 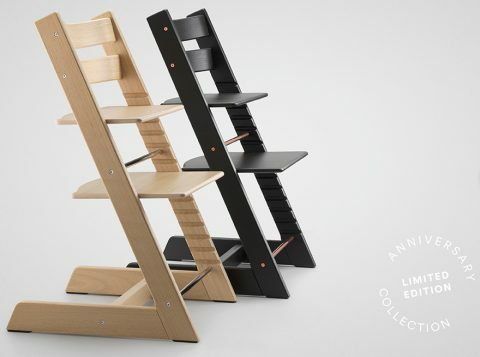 It really goes beyond the basic house shaped wall shelf that everyone has made versions of in recent years. 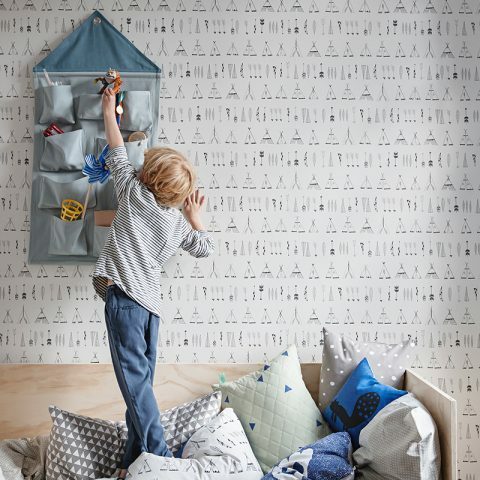 The House Wall Storage comes in blue, rose and gray and is a casual, cute storage accessory. 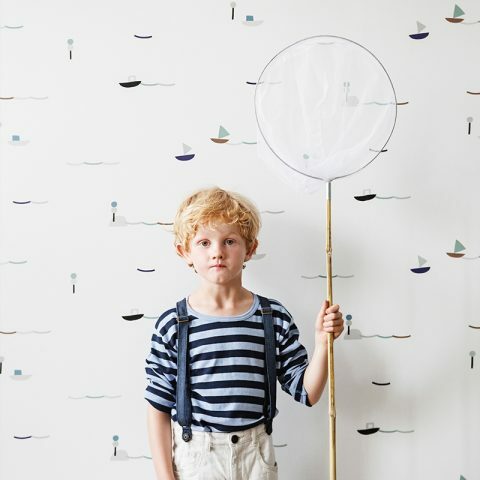 For Autumn/Winter, much of the collection is divided into either the Party or the Seaside theme. 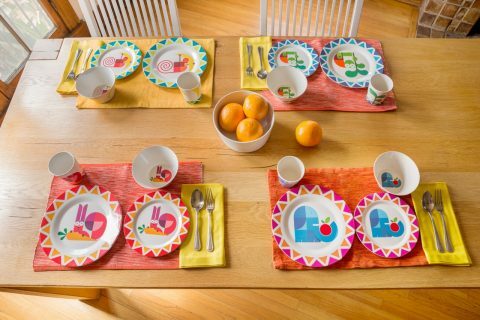 Here is their Bamboo Dinner Set in the Party pattern. 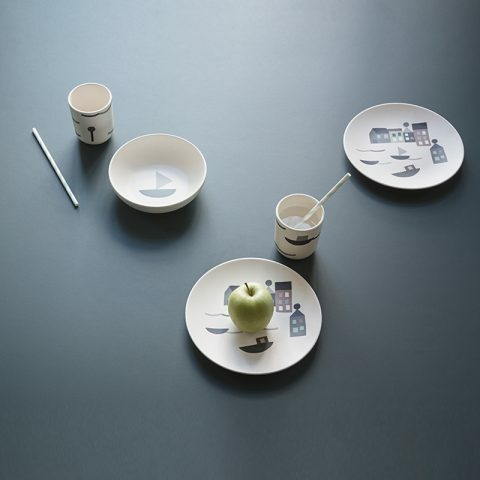 And this is the Bamboo Dinner Set in Seaside. The new wallpapers are becoming favorites of mine. Here is the Seaside Wallpaper. And this lovely pattern is the Party Wallpaper shown with a new Rose color way for the Air Balloon Lamp. There are new cushions for the Party pattern as well as the Seaside pattern. 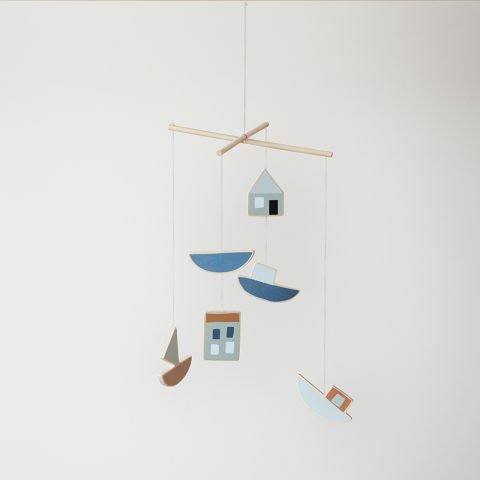 And there are mobiles in Party and Seaside as well. 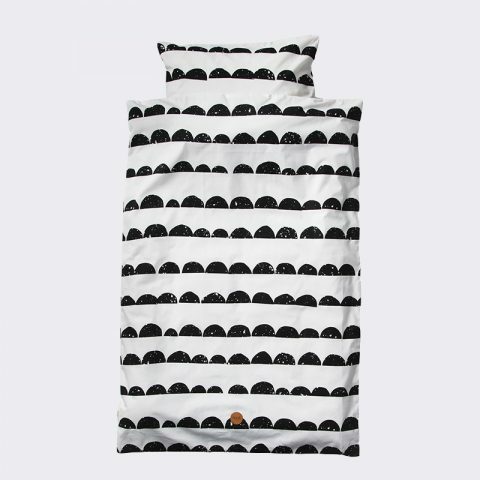 and the popular Half Moon pattern now comes in Baby and Junior bedding. It’s a great black and white modern option! 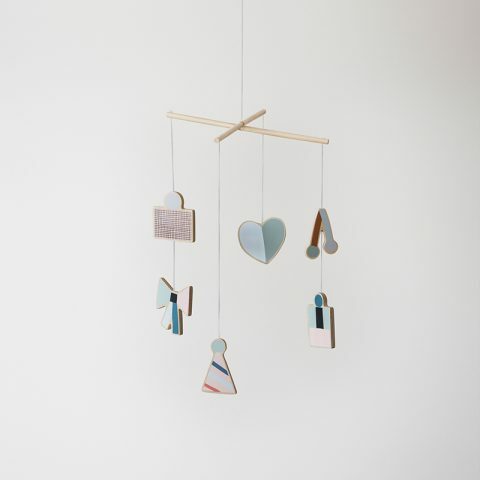 I can’t wait to incorporate some of the new designs in future nursery plans! 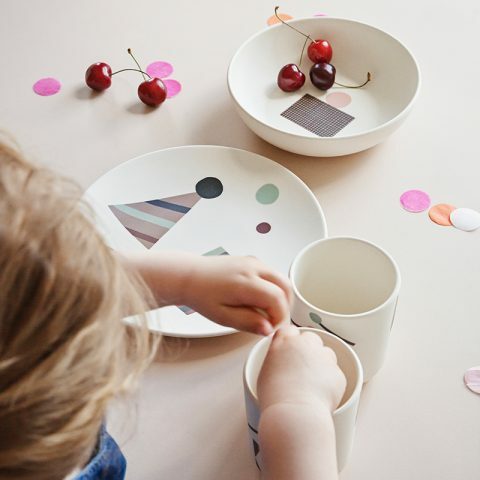 As an alternative to plastic and melamine plates for kids, Dylan Kendall designed a fabulously fun series of bamboo dishware! 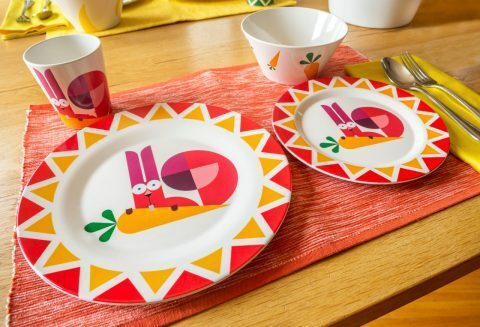 This Kickstarter launch still has early bird sets available, which include a free placemat, (for estimated November delivery) for $25. Prices and packages go up from there. 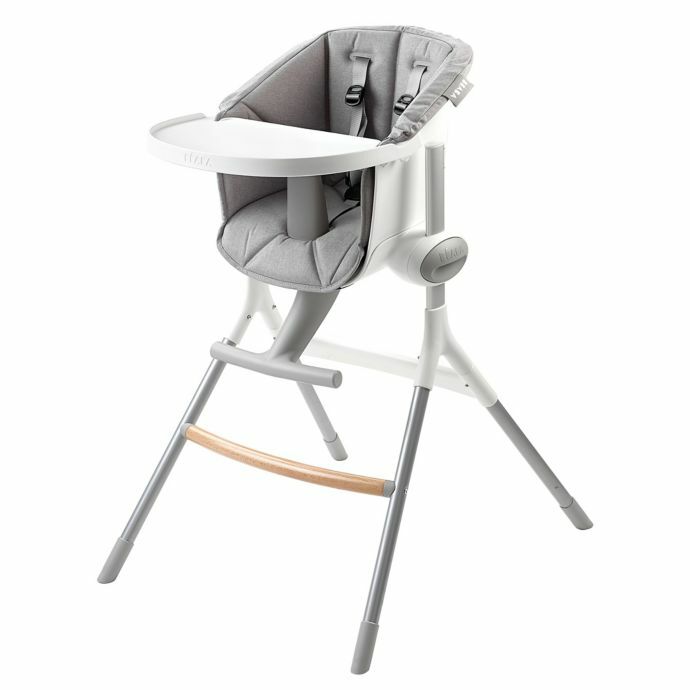 Four animal designs include monkey, rabbit, elephant and turtle.